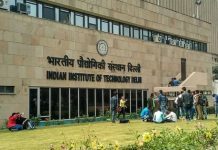 New Delhi: The Vice President of India, Shri M. Venkaiah Naidu has said that Dr. Kalam played a pioneering role in making India’s defence and space systems self-reliant. 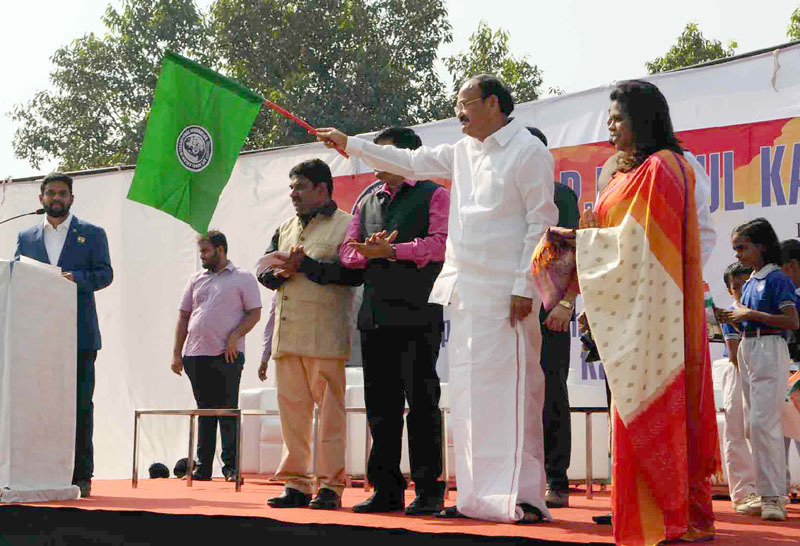 He was addressing the gathering at an event to Flag-off Rally for ‘Clean and Green India’ as part of 86th birth anniversary celebrations of Dr. A.P.J. Abdul Kalam, here today. The Vice President said that Dr. Kalam, a boat maker’s son, who used to distribute newspapers as a young boy to support the family, rose to become the First Citizen of India through sheer hard work, perseverance and self-belief. He further said that the ‘People’s President’ used to advice school children and youngsters to ‘Dare to dream and reach for the sky’. 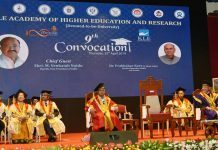 The Vice President said that despite occupying the exalted position of the President of India, Dr. Kalam always remained simple and humble and treated all those who had worked with him or became acquainted with him with affection and warmth, irrespective of their position or background. The Vice President remembered that he had met him on several occasions and every discussion with him was a learning experience for him. The Vice President said that Dr. Kalam’s vision was to see a fully transformed India as a developed country by 2020 and he was convinced that the country could achieve that status because of the talent, sincerity and hard working nature of the people. He often used to say that ‘strength respects strength’ and wanted India to emerge as a leading economic power, he added. We have gathered here to pay tributes to one of the most beloved Presidents of India, the late Dr. A.P.J. Abdul Kalam, who was an equally great scientist and played a pivotal role in the development of the country’s missile and space technologies. I am sure, Dr. Kalam, the ‘People’s President’ does not need any introduction to this audience, especially the youngsters. A boat maker’s son, who used to distribute newspapers as a young boy to support the family, rose to become the First Citizen of India through sheer hard work, perseverance and self-belief. Dr. Kalam’s remarkable journey from Rameswaram to Rashtrapathi Bhavan in itself is an inspiration to every Indian. He overcame several odds and challenges to pursue his goals and dreams. After completing aeronautical engineering and initially working with DRDO, he joined ISRO and was the project director for India’s first indigenously-built Satellite Launch Vehicle (SLV-3), which hurtled India into the space club by putting Rohini satellite in near-earth orbit on July 18, 1980. Later, he moved back to DRDO and was chief architect of India’s Integrated Guided Missile Development Programme (IGMDP)—under which five missiles were developed- Prithvi, Agni, Trishul, Akash and Nag. Thus, Dr. Kalam played a pioneering role in making India’s defence and space systems self-reliant. Dare to dream and reach for the sky was his advice to school children and youngsters. Despite occupying the exalted position of the President of India, he always remained simple and humble and treated all those who had worked with him or became acquainted with him with affection and warmth, irrespective of their position or background. I too had met him on several occasions and every discussion with him was a learning experience for me. His vision was to see a fully transformed India as a developed country by 2020 and he was convinced that the country could achieve that status because of the talent, sincerity and hard working nature of the people. He often used to say that strength respects strength and wanted India to emerge as a leading economic power. In fact, the book written by him along with Y S Rajan titled ‘2020—A Vision for the New Millennium’ chartered the course for the country to become a developed country. Friends, the time has come for every citizen to work towards building a New and Resurgent India. The first and foremost need is to overcome various social ills plaguing the country like poverty, illiteracy, casteism, communalism, regional parochialism and atrocities on women and weaker sections. All sections need to be empowered, particularly the vulnerable groups like women, weaker sections and minorities. People must give up “chaltha hai” attitude and display a sense of passion and missionary zeal for building the India dreamt of by Mahatma Gandhi, Dr. B.R. Ambedkar, Deen Dayal Upadhyay and Dr. Kalam. Let us all take a pledge to make India strong economically and technologically and the global hub of innovation and excellence.